Welcome to the three hundred and ninety-ninth of my blog interviews with novelists, poets, short story authors, biographers, agents, publishers and more. 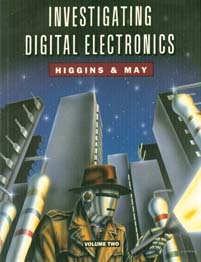 Today’s is with novelist and non-fiction author Roy A Higgins. A list of interviewees (blogged and scheduled) can be found here. If you like what you read, please do go and investigate further. Morgen: Hello, Roy. Please tell us something about yourself, where you’re based, and how you came to be a writer. Roy: Hi Morgen. I am a Lancashire lad born and bred and I live in rural Lancashire England. 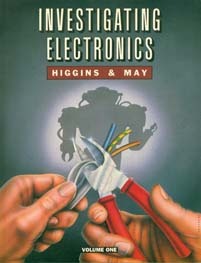 My job has always necessitated the writing of training materials, and I have had, in the past, two books published by Longman Publishing on the subject of electronics. This might sound a little dull to fiction aficionados, but these books have made me more money than my novels ever will. Since retiring I have written two novels as a hobby: ‘Weekend in Amsterdam’ and ‘Satan’s Whiskers’. Morgen: Not dull at all, writing is writing and any author who makes a healthy amount of money at something they enjoy is to be applauded. What genre do you generally write and have you considered other genres? Roy: Actually novels for me are another genre. ‘Weekend in Amsterdam’ is a story of industrial espionage and was inspired by my meeting with a Soviet agent in Amsterdam. 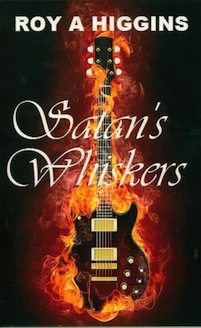 ‘Satan’s Whiskers’ is a ”who done it” story of a serial killer, whose killings appear to follow the movements of the rock band ‘Satan’s Whiskers’. Morgen: Do you write under a pseudonym? Roy: I don’t write under a pseudonym exactly, although I have had to write under the name of Roy A Higgins as an antipodean jockey, who shares with me the name of Roy Higgins, writes and broadcasts using my preferred name. Morgen: That’s a shame, but not too different. Have you had any rejections? If so, how do you deal with them? Roy: Luckily I have never had to deal with a rejection, but rejections are par for the course and should not be taken personally. Unknown authors are notoriously difficult for publishers to sell and so a rejection letter does not necessarily reflect upon the quality of a novel. Authors are usually their own biggest critics, and if the author is happy with the finished article then they must keep the faith no matter how many rejections they receive. Morgen: Absolutely – just (usually) the right thing for the wrong person. Have you won or been shortlisted in any competitions? Roy: I have never entered any writing competitions and therefore I have never been shortlisted or won anything. Some people grow giant vegetables for horticultural shows and other people grow them to eat, we all do what makes us happy. Morgen: Hopefully. 🙂 Do you have an agent? Do you think they’re vital to an author’s success? Roy: I am sure that some authors have been well served by their agents and would take issue, but agents appear to me to be just as difficult to impress as do publishers, so why would I need a middle man? Morgen: They are (apparently) now more difficult to get than publishers so more difficult to impress. 🙂 Are your books available as eBooks? Were you involved in that process at all? Do you read eBooks or is it paper all the way? 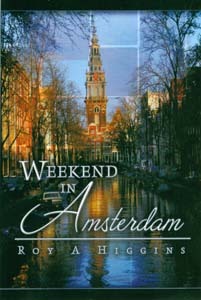 Roy: My first novel ‘Weekend in Amsterdam’ is currently only available as a paperback on internet sites. I am an eclectic reader and I do read both paper and eBooks. I find the Kindle reader very handy while away on holiday as it reduces the bulk of numerous books, but I do like a traditional book, especially a hardback. I tend to hoard books which I have already read and I am constantly under pressure to get rid of them. Because of the abysmal royalties received from the sale of a paperback, I have decided to abandon any prejudices that I might have about new technology and self-publish my second novel as an eBook. It will be interesting to see how that goes. Morgen: eBooks are outselling hardbacks (and possibly paperbacks in the not too distant future, if not already) so I think you’re wise. How much of the marketing do you do for your published works or indeed for yourself as a ‘brand’? Roy: I don’t regard myself as a brand and do not want to be in the public eye at all. I am luckily in the position where I do not need to sell books in order to make a living, and as I hate the marketing side of the business, and incidentally am quite useless at it, I am afraid that I tend to neglect it. I have however made concessions to a website http://authorwebsiteroyahiggins.com and I enjoy writing a blog http://authorblogroyahiggins.blogspot.com. I also have a Twitter account https://twitter.com/RoyAHiggins and an author fan page on Facebook http://www.facebook.com/pages/Author-Roy-A-Higgins/121981067887235. Morgen: The marketing is what most authors say they like the least and it is tough. Do you have a favourite of your books or characters? If any of your books were made into films, who would you have as the leading actor/s? Roy: My favourite book is always the one that I am currently working on. Both of my novels are based upon my life experiences when I was a young man, and so the main character in both of these novels is my alter ego. He is flawed but I hope that the reader cares what happens to him. Who would I like to play myself as a young man in a film? Probably Zak Efron, he is handsome and approximately the right age for the role, although I am not sure how well he would cope with a Lancashire accent. Morgen: I think readers will care what happens because he’s flawed. Perfect characters are dull and stories always need conflict. Did you have any say in the titles / covers of your book/s? How important do you think they are? Roy: I called my first novel ‘Weekend in Amsterdam’ because I met a Soviet agent in a bar while spending a weekend in Amsterdam. I decided that because of the title I must have a scene of Amsterdam for the front cover, preferably one with a canal. I found a picture of De Nieuwe Kirk on the internet which I showed to my publisher. They found a picture of the same scene in their own archives, and as this picture did not breach any copyright I was agreeable for them to use it. I think that covers are very important when you are an unknown, as your name is never going to sell the book. Many people have told me how much they like the cover and so it must be eye-catching. The cover to my second novel I have designed myself, including all of the type face, although until I have purchased the rights to use the photograph which I have chosen it is not possible for legal reasons to display it here. Morgen: I quite understand. What are you working on at the moment / next? 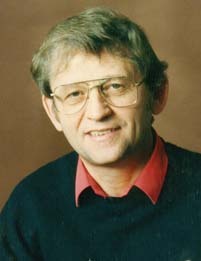 Roy: At the moment I am very busy working with my editors on my second novel ‘Satan’s Whiskers’. If it is successful as an eBook, I intend to cancel my contract with my publisher and self-publish ‘Weekend in Amsterdam’ as an eBook. Roy: I don’t write every day as I am retired and not looking for a full time job or a career. I write only when I am in the mood as I do it for pleasure rather than for profit. They say that everyone has at least one novel in them. I have currently discovered two, both of which are based on my past life experiences. As memory requires little imagination I have never experienced writers block, although I am sure that I will should I decide to continue writing. Morgen: Not necessarily. There are many authors I’ve spoken to who don’t, and I don’t really. If I get stuck on something I move on to something else and can always carry on with the original one when I come back to it – for me it’s just telling my brain that I need a change (which is why I used to temp for a living). 🙂 Do you plot your stories or do you just get an idea and run with it? Roy: I never know where the story is going and it is often as much a surprise to me as it is to everyone else, although I always know from the outset how it will end. Morgen: That’s the best way it can be. Reading can emulate a writer’s experience; if the writer is bored the chances are high that the reader will be too. Apart from your protagonist (as he’s based on you… with added flaws :)), do you have a method for creating your characters, their names and what do you think makes them believable? Roy: My characters I hope are believable because they have been modelled on real people, although some of my characters an amalgam of a number of different people. As far as character names are concerned, I have to keep in mind, while writing, who it is that I am writing about and so I use rhyming names to the people on who I have based my characters. Morgen: Do you write any poetry or short stories? Roy: I am afraid that poetry leaves me cold. I do however write short stories within my novels, stand alone stories that really have very little to do with the main story. I also feel that blogging is in a way short story writing, or at least I treat it as such. Morgen: I’m kind of with you on poetry. I say I don’t ‘get it’ (I’ve not studied it which doesn’t help), but many poets don’t write prose so I think I can be forgiven. Do you do a lot of editing or do you find that as time goes on your writing is more fully-formed? Roy: I have two very good friends who voluntarily read and correct my mistakes, while offering alternative suggestions to some of the text which I often gratefully accept. Morgen: First readers are essential, especially if they read a lot – I’m lucky, I have four so I tend to alternate so I don’t bombard. Do you have to do much research? Roy: As both of my novels are reality-based, my only research is in checking anomalies in my own recollections of the events. I use the internet to check that my dates are correct and that parallel events really did happen at that moment in time. I also back fill locations with newly-acquired historical knowledge. Roy: Although I am writing primarily about myself and my own experiences I have never used first person, as some of the things that I write I would find too embarrassing to mention unless talking in the third person. Roy: No, I am not the sort of person to give up on a project. If I start something I am damn well going to finish it if only to prove to myself that I didn’t quit. Morgen: That’s the spirit. 🙂 What’s your favourite / least favourite aspect of your writing life? Has anything surprised you? Roy: My favourite part is reading something that I am proud of and can’t believe that I have written. My least favourite part is marketing. When I have finished a project I just want to put it aside and begin something new. I always knew that getting people to read my unsolicited offerings would be difficult, but I never realised just how difficult, that to some extent has been the surprise. Morgen: I did guess your least favourite. Whilst it’s great being able to speak to our readers / potential readers, I think most writers would prefer to spend the time writing. What advice would you give aspiring writers? Roy: It is impossible to please everyone and so only endeavour to please yourself. Don’t bother writing unless you are enjoying it. Don’t expect to be famous or to become a millionaire, and don’t give up the day job. Morgen: Oops… I did that in March (and have loved every minute since). If you could invite three people from any era to dinner, who would you choose and what would you cook (or hide the takeaway containers)? Roy: I would be in awe of Charles Dickens but he would be the first person that I would invite as a mentor. Winston Churchill is my all time hero and so his presence and his wit at the dinner table would be a must, while Elvis Presley would be my first choice to provide a little after dinner entertainment. Takeaway or sandwiches are the limit of my culinary skills I’m afraid. Morgen: That’s OK, as a recent interviewee said, it would leave more time for chatting. Is there a word, phrase or quote you like? Roy: This is not the end, it is not even the beginning of the end, but it is the end of the beginning. Roy: I love to blog when I can find the time. Not about novels or writing but about things that I find absurd, inspirational, or annoying. Roy: My life is one long hobby. I love to take photographs and have attended photography classes at my local college. I like to paint both watercolour and oil and again I have attended classes. I love to be out in the garden if the weather is amenable, but these days you are more likely to find me in a deckchair with a book rather than wearing wellington boots and carrying a spade. I am passionate about holidays and eating out and have been known to travel five miles on the bus for a cappuccino and a chocolate chip muffin. Morgen: Sadly I have 15 years to go ’til I get my bus pass (actually that doesn’t sound long at all) but I don’t blame you – there’s a fish and chip shop a couple of miles away from me that’s worth the effort. 🙂 Are you on any forums or networking sites? If so, how valuable do you find them? Roy: I am on networking sites and forums and although I rarely comment I do read other people’s comments if I find them interesting. They can be very useful as you can avoid other people’s pitfalls and discover what really works and what doesn’t. This interview is in fact as a consequence of replying to an invitation for writers to do interviews. Morgen: It’s all a learning curve. The invitation would have been on LinkedIn (which came to my rescue when I was running low… I’m now booking into next January, so thank you LI). 🙂 What do you think the future holds for a writer? Roy: If the author’s name is larger than the book title then the future is very bright. People buy the name and the story is almost irrelevant. If the title dominates the book cover then it is a completely different story. Publishers of these authors refuse to waste resources on marketing and the burden falls upon the author to sell his own books. EBooks are changing the face of the publishing industry. There has never been a better time to self-publish, although without kudos, marketing is always going to be the sole domain of the author. Morgen: It does seem to be the way things are headed and although the waters are swamped with other authors trying for the same thing, it’s the perfect time for networking sites to be flourishing. Where can we find out about you and your work? Roy: ‘Weekend in Amsterdam’ and Satan’s Whiskers can both be purchased at Amazon.co.uk or Amazon.com. It is possible to read a part of both books at my website http://authorwebsiteroyahiggins.com. Morgen: Thank you, Roy, and good luck with the self-publishing (give me a shout if you get stuck). Roy’s also on Blogspot and mentioned this interview here. might have a go myself on my wanderings around the world while working in the oil industry.